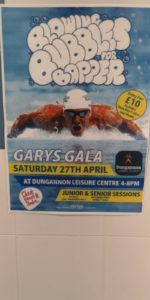 Portadown Amateur Swimming Club (PASC) was formed in 1970 shortly after the opening of ‘Cascades’ Leisure Centre in Portadown, Co. Armagh. The club belongs to its members. Its club colours are black and red. 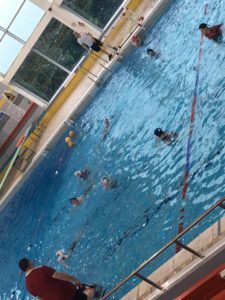 All of our coaches and committee members are mainly parents who offer their time to become qualified coaches or committee members. If there are things you as a parent think would improve the running of the club please come forward and offer to help – that’s what makes a difference. Over the past 10 years things have been going from strength to strength with current membership of over 100 swimmers, ranging from beginners to those competing in ‘Aquasprint’ and ‘Provincial Towns League (PTL) galas as well as individual performances by members at Swim Ulster/Swim Ireland open gala events throughout the season. Further detail of the competition events the club is involved in are listed in Appendix 1. PASC believe it is important for ongoing club development that members are clear on the ethos and spirit of the club. PASC is proud that unlike other competitive clubs we DO accept members who need to learn to swim and we DO support them to develop into competitive swimmers. We are about offering opportunities for development of individual swimmers to learn to swim and to participate firstly in team based events and to enable swimmers to develop the capability and swim times to compete competently in open gala events as individuals if they so choose. This club is equally committed to ensuring our members are having fun and making friends! The success of the club is dependent on the positive contribution of parent members. Our swimmers / your children have an opportunity to forge new friendships and develop their self- esteem and confidence as well as learn swimming techniques and gain opportunities to compete and be part of a team. These skills will serve them well for the rest of their lives! So please consider how you can become involved to make a positive difference.